Zimbabwe is left with a month's supply of wheat, Grain Millers Association of Zimbabwe (GMAZ) president, Tafadzwa Musarara has revealed. Musarara told journalists soon after the GMAZ northern region meeting Wednesday, that mealie-meal prices will go up with the next seven days. "On the wheat side, all milling companies have less than 30 days' supply left. Hence we are calling on the Reserve Bank of Zimbabwe to quickly avail the much needed foreign currency before the situation worsens," Musarara said. The GMAZ boss added that that mealie-meal prices were set to go up soon, due to effects of the newly gazetted producer prices. "As you are aware, government recently gazetted new prices that will be paid to farmers. The increase is by about 70 percent and as millers we cannot absorb the costs, so we have consulted our members and agreed on a new price structure. "However, we will be withholding the announcement on when the new price structure will be effected until we have consulted government but we definitely can't absorb the new producer prices," said Musarara. 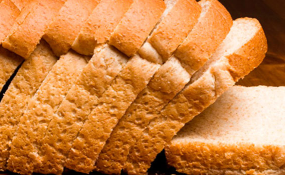 In early February, bread price increased by a whopping 66 percent leaving government weighing options on the need to step in and control prices before authorities introduced fuel subsidies in a bid to stabilise the situation. From December 2018 to date bread prices have increased more than four times.